Sleep Hotel is a cozy, 3-star hotel, located in a quiet area of ​​Wrocław. Thanks to this location, our guests can rest after a hard day and relax away from the noise and hustle of the city. And all this just seven kilometers from the center of Wroclaw. There are the Motorway and Downtown Wroclaw Bypass in the direction of Poznan, Warsaw, Krakow and Berlin not far from us. The hotel is a 20-minute drive from Wrocław-Turow Airport of Nicholas Copernicus, and public transport will take you directly to the city center. We offer 42 comfortable, fully equipped rooms, a restaurant, a banquet and conference halls. Our guests can also use 3 free, monitored parking lots along with a place for the bus. The capital of Lower Silesia attracts thousands of tourists every day. We recommend our guests to visit the hotel’s restaurant. Our chefs make all the efforts to satisfy the tastes of even the most demanding gourmets, serving various dishes of Polish and European cuisines à la carte. We also offer a varied breakfast buffet. Our offer is addressed not only to people who are looking for a comfortable accommodation in Wroclaw. At the Sleep Hotel you can also organize a conference, business meeting, wedding party or other event. We encourage you to familiarize yourself with the details of our offers. A wedding is one of the most beautiful days in life, and a successful wedding is the perfect beginning of a new life together. Make your dreams come true and organize your ceremony in the intimate interiors of the Hotel Sleep ***. In order to meet the expectations of our guests, we have prepared a number of special offers for a stay at the Sleep Hotel*** at attractive prices. We offer advantageous packages, including those for business travelers and students. Our advantageous business packages include among others comfortable stays with breakfast for guests who are traveling on business and attractive discounts for companies organizing conferences at Sleep Hotel. 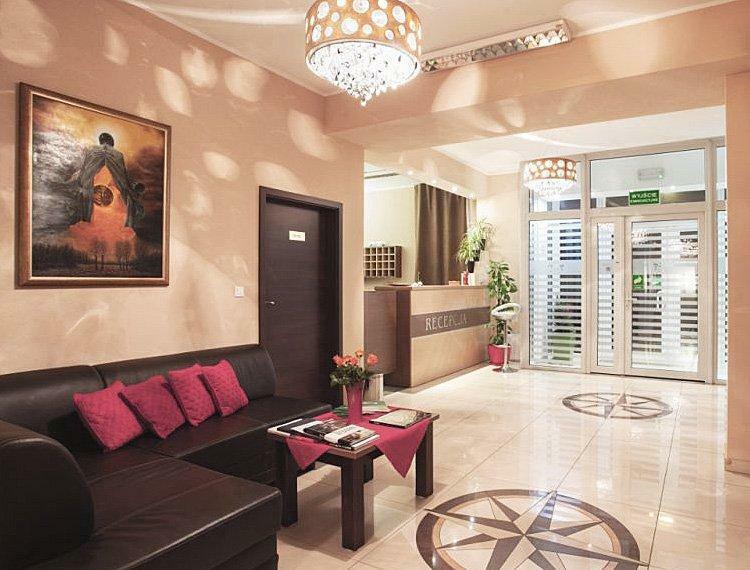 Advantageous location of our hotel as well as convenient access to the center of Wroclaw conduce numerous trips. We can advise you on what to see in the capital of Lower Silesia during your stay at Sleep Hotel. A great place to relax after a busy day in the center of Wroclaw, comfortable beds, tasty breakfast and cleanliness for 5 plus! We had a party at the hotel. The organization was without a complaint, very nice service and delicious food. I can honestly recommend!